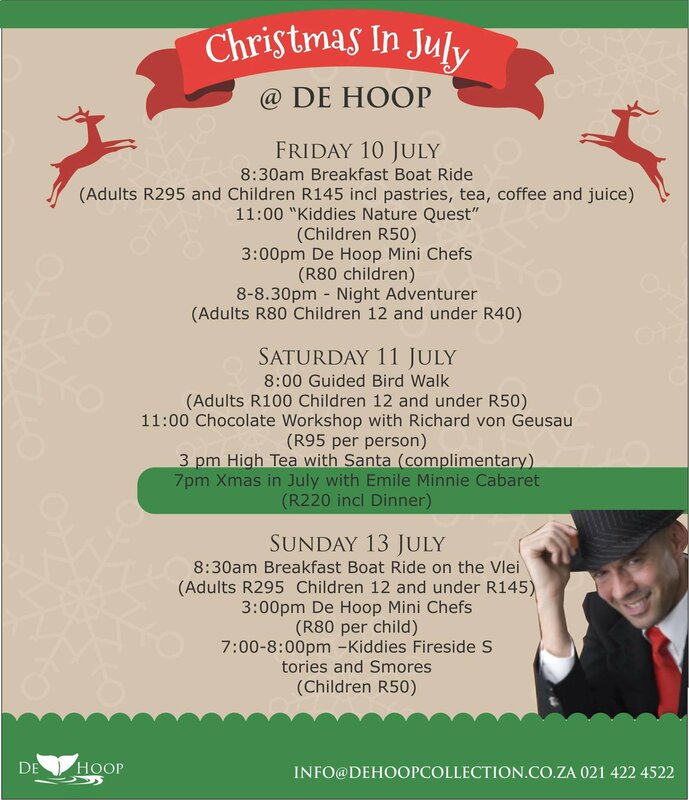 Join us for a fun weekend with Richard von Geusau and his wonderful chocolate making workshop, Father Christmas will visit the kiddies in the afternoon during High Tea. On Saterday evening the highly talented and amusing Emile Minnie will perform for us. Chocolate Workshop R100 per person and Saterday 3 course Dinner and show R250 per person. Children 12 and under half price! Offer valid 10 - 11 July 2015.